In The Plant-Powered Diet, registered dietitian, Sharon Palmer, makes a case as to why we should eat more plant-based foods. 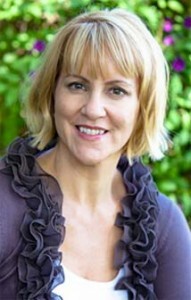 Supported by up-to-date research on the benefits of whole plant foods, she explains how they promote optimal health. The primary goal is to emphasize whole plant foods including vegetables, fruits, whole grains, beans, and nuts in your diet. It is not necessary to be a strict vegetarian to follow this plan to reap the health benefits. The Plant-Powered Diet highlights scientific research showing how we can gain protection against disease by eating whole, unprocessed plant foods. Studies also demonstrate that vegetarians and especially vegans tend to weigh less than their meat-eating counterparts. Palmer’s basic advice is to eat more whole plants and she provides you with the tools to make this easy. Your nutrition goal should be personal and based on what you think will work for you. If you prefer not to eliminate animal foods completely there are options for menus including dairy products, eggs, fish and chicken. Everyone is advised to limit the consumption of red and processed meat. These foods have been associated with an increased risk of type 2 diabetes and cancer. This meal plan makes it easy to include more plant-based meals into your week. If you are not yet ready to give up animal foods you can supplement the plan with dairy, eggs and meat. Set a goal for how many plant-based meals you would like to eat every week and follow the menu those days. The recipes are designed to be high-nutrient and low in sodium and saturated fat. Yet they are also delicious and easy to prepare. Beans, lentils, tofu, tempeh, hummus, oats, brown rice, quinoa, whole wheat pasta, tomato, spinach, mushrooms, asparagus, mango, apple, watermelon, banana, blueberries, olives, avocado, nuts, soy milk, almond milk, coconut yogurt, olive oil, dark chocolate, fresh herbs and spices, coffee, tea, red wine. Physical activity protects your DNA from aging. It’s essential for weight management. You should do a combination of aerobic and muscle strengthening exercises. It is best to include light activity at regular intervals throughout the day. Try not to spend too much time sitting down and be sure to stretch or walk around whenever possible. 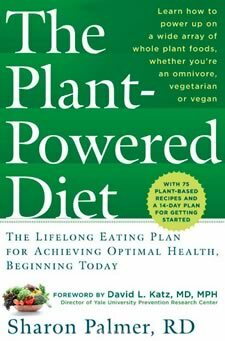 The Plant-Powered Diet: The Lifelong Eating Plan for Achieving Optimal Health, Beginning Today retails at $15.95. Click Here to purchase a this book for a discounted price. Encourages a high consumption of fresh, unprocessed plant-based foods. Plant-based diets have been associated with improvements in a wide variety of health conditions. Includes a 14-day meal plan with 75 recipes. Offers advice for eating in restaurants and when traveling. Provides options for those who don’t want to completely eliminate animal products. May require more time to be spent in the kitchen. Can be difficult to find plant-based meals when eating out and in social situations. The Plant-Powered Diet highlights the health and weight loss benefits associated with eating more whole plant foods. This book offers a flexible approach that does not require becoming a vegan or giving up meat completely. Rather it encourages increasing your intake of plant foods to the degree that suits your personal preference and goals.